The Democrats, fully confident of their new president and their grip on both house of Congress, were certain that they could pass yet another big energy bill that would finally push hydrocarbons off their pedestal and replace them with wind turbines, solar panels and every other type of alternative energy. Real estate foreclosures in the US are soaring, with up to 3.5 million homeowners facing the threat of foreclosure this year. And of course, there’s the changing balance of power in Congress. The Democrats’ brief stint with a super majority has ended in the Senate, where a Republican, Scott Brown, now sits in the chair held by the late Ted Kennedy. Meanwhile, the reputation of the IPCC, due to sloppy work by its researchers, has been tarnished, perhaps irretrievably so. Over the past two months, much of Europe and the US has been hit with record-cold temperatures and record amounts of snow. (Supporters of the theory of global warming insist that the record snows are “consistent” with their theory.) And there has been “climategate.” Last year, someone hacked into the computers at the Climate Research Unit at the University of East Anglia and released a spate of embarrassing emails that were exchanged among various climate scientists. The emails set off a firestorm of criticism of the scientists and their research methods. Remember that over the past few years, the pro-global warming theorists have repeatedly trumpeted the claims from the IPCC and others that the scientific proof of global warming was overwhelming and therefore, there was no reason for any further discussion. Given that the science was settled, politicians had to act immediately to curb carbon dioxide emissions, in order to avert catastrophic climate change. The fervor around the science, and the belief that the issue was settled became so common that anyone who doubted the supposed consensus view was branded as a “denier.” The fervor against the “deniers” was so strong that in 2006, one journalist, David Roberts of Grist, even advocated “war crimes trials for these bastards – some sort of climate Nuremberg.” (Shortly after his piece was published, Roberts retracted his statement.) The denunciations of the “deniers” continued after Al Gore and the IPCC won the Nobel Peace Prize in 2007 and they continue to this day. Last month, Rolling Stone magazine published a list of “the 17 polluters and deniers who are derailing efforts to curb global warming.” The article, called, “The Climate Killers” lambasted a range of people — Warren Buffett, Exxon Mobil CEO Rex Tillerson, Oklahoma US Senator James Inhofe, and columnist George Will, among them. It’s not clear what effect Jones’ interview has had on US businesses, but it’s interesting to note that just two days after the BBC published its Q&A with Jones, two multinational oil companies – BP and ConocoPhillips –announced that they were dropping out of the US Climate Action Partnership. Last week, industrial giant Caterpillar also announced that it was quitting USCAP. About a year ago, USCAP, a coalition of major corporations and environmental groups, looked to be the odds-on favorite to set the agenda for global warming legislation in Congress. Led largely by Jim Rogers, the loquacious CEO of Duke Energy, USCAP was viewed as a new business model for big industries trying to grapple with the potential consequences of carbon legislation. On February 13, 2009, Rogers, speaking at the CERAWeek conference in Houston, declared “The signposts are clear: we’ll have legislation” on carbon emissions. Four months later, the US House of Representatives narrowly passed the American Clean Energy and Security Act, a 1,428-page monstrosity filled with loopholes and giveaways for favored industries. When printed out on standard paper, the 2009 bill (also known as Waxman-Markey or the cap-and-trade bill) creates a stack nearly 7 inches tall. But since last June, and particularly since December, when leaders from 192 countries met in Copenhagen for what the Associated Press called “the largest and most important UN climate change conference in history,” the urgency for any type of substantive action on carbon emissions has vanished. Indeed, after two weeks of wrangling in Copenhagen, the result was laughably predictable: no legally binding agreement on any reductions in carbon emissions, only a promise to set targets and an agreement to meet again a year later in Mexico City to discuss all of the same issues one more time. In announcing their decision to drop out of USCAP, BP and ConocoPhillips made it clear that they were concerned about how pending US climate legislation would affect their refining businesses. Conoco’s CEO, James J. Mulva, said that the pending legislation “left domestic refineries unfairly penalized versus international competition.” Caterpillar said it was dropping out so that it could focus on carbon capture and storage projects. Whatever their reasons, the exit of those three companies from USCAP reflects the waning enthusiasm for any type of federal carbon legislation. Senate leaders say they will attempt to pass a different energy bill from that passed by the House last year, one that will tax refineries and put emission limits on heavy industry. That might happen. But that kind of tax scheme is going to meet huge resistance from industry. And the departure of BP and ConocoPhillips from USCAP appears to indicate that the refining industry – which has been hammered by the recession and slack motor fuel demand – has decided to actively fight such legislation. In summary, given the ragged state of the economy, persistently high unemployment – indeed, the highest number of unemployed people in modern US history – along with huge numbers of foreclosures, the suddenly much-weaker scientific case for cutting carbon dioxide emissions, and the changing balance of power in Washington, don’t count on any significant carbon emissions legislation out of Congress anytime soon. Democrats and Republicans alike are sensing political peril in any effort that will impose higher energy prices on taxpayers during tough economic times. After failing to win support in Russia for tough sanctions against Iran, Israel turns to its closest ally, the United States, for a backup plan to curb Tehran’s enrichment program. 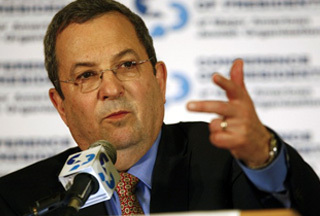 On Tuesday, the Israeli military radio reported that Defense Minister Ehud Barak will be travelling to Washington to share his concerns over Iran’s refusal to stop its nuclear activities. Barak will meet several US officials during his five-day tour, including US Defense Secretary Robert Gates, Secretary of State Hillary Clinton and Middle East ‘peace’ envoy George Mitchell. He is also scheduled to meet the UN Secretary General Ban Ki-moon in New York. As part of a last-ditch effort to obstruct Iran’s nuclear program, Israel has sought to send high-ranking delegations to a number of countries, particularly Russia and China, to rally support for punitive measures against the Tehran government. In Russia, Israeli efforts have achieved little with Kremlin officials declaring that it is much too soon to consider stringent measures against Iran. This has not stopped Tel Aviv’s effort to call for international sanctions against Iran. On the contrary, it has prompted Israeli Prime Minister Benjamin Netanyahu to go as far as demanding that the UN Security Council should be sidestepped if it cannot agree to more sanctions against Tehran. “We must prohibit Iranian oil exports and imports to Iran of refined oil products. No other sanctions will be effective,” Netanyahu said in Jerusalem (Al-Quds) at a meeting of delegates from the Jewish Agency, an organization that encourages Jewish immigration to Israel. Such daring rhetoric by the Tel Aviv regime comes in light of the wide belief that Israel is in possession of over 200 nuclear warheads. Additionally, Israel has refused to sign the Nuclear Non-Proliferation Treaty (NPT) and is not a member of the UN’s International Atomic Energy Agency (IAEA). Despite its refusal to join any international atomic regulatory agency, Israel has been the most vocal in calling for international sanctions against the Islamic Republic of Iran for its IAEA-monitored nuclear program. “We have arrived at a point where the international community has to decide if it seriously plans to stop Iran’s nuclear program,” the Israeli premier added. This comes as the UN nuclear watchdog released a new report on Tehran’s enrichment program, criticizing Iran for a range of issues, but verifying the non-diversion of declared nuclear material in the country at the same time. Iran says that is a signatory of the NPT and, unlike Israel, neither believes in atomic weapons nor, as a matter of religious principle, does it intend to access such weapons of mass-destruction. 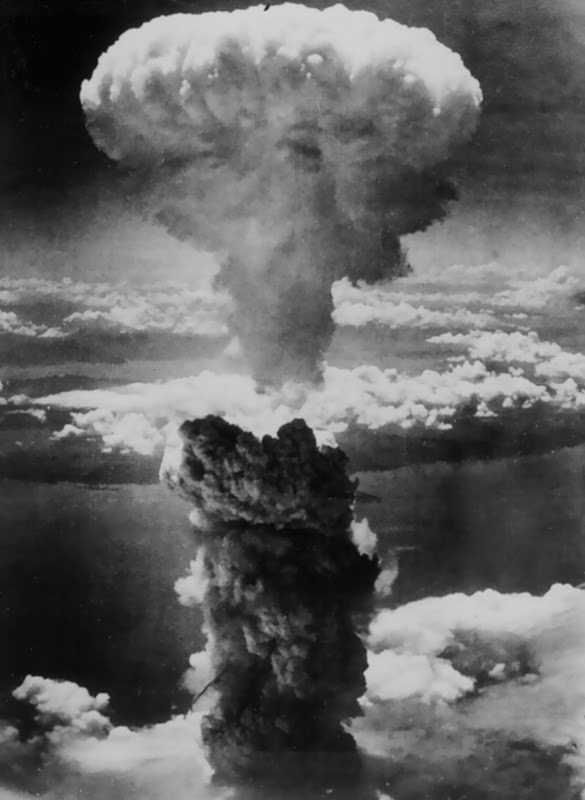 Tehran has also repeatedly called for the elimination of all nuclear arms throughout the globe. President Chavez said on Sunday that the peasant militia is part of the Bolivarian Armed Force (FANB) and therefore, a legitimate force, which will neither undermine the FANB or supplant it. The militias, he hinted, will act as a deterrent for domestic aggressors, who have been acting with complete impunity. Last week, peasant militias took part in military training exercises in El Pao (Cojedes) watched by Agriculture & Lands (MAT) Minister Elias Jaua, who himself dressed in military fatigues. It is not clear whether he has a rank in the militia or indeed took part in the exercises himself but Jaua has been at the fore in setting up militias within the different branches of the Venezuelan Agriculture Corporation (CVA). To tell the truth, the fact that militias have joined regular army patrols on recovered farms has been a deterrent to possible acts of sabotage and vengeance on the part of the ousted landowners. The Minister stated that the government has the political will to to see the Constitution and the FANB law implemented to the full. Defense Minister General Mara Figuera calculates around 2,500 militia members in the FANB reserve force. The President reminded readers that since the law came into force in 200, the landed oligarchy adopted a violent agenda against land recoveries that saw the death and assassination of around 300 peasant leaders. The government is determined to protect peasants by all means at its disposal. The militia, Chavez reiterated, is part and parcel of the Armed Force and not a paramilitary force as opposition analysts try to claim comparing them to the Colombian experience. Making things clearer, the President said the Bolivarian militia and the communal councils are expressions of the new Communal State and structures being built. The militia was reorganized after the Armed Force reform bill was passed on October 22, 2009. The Nuclear Regulatory Commission confirmed Monday that a whistleblower told the truth last week when he told a member of the Vermont Legislative Oversight Panel there was an earlier radioactive leak of tritium at the Vermont Yankee plant in the same area that is the focus of the current leak. The confirmation by Donald Jackson, branch chief of reactor projects for NRC’s Region One, again raised the question of why Entergy Nuclear executives repeatedly told Vermont regulators last year there were no underground pipes at the Vernon reactor carrying radionuclides. Jackson said the leak was in 2005, not two years ago, as the whistleblower had originally told Arnie Gundersen, a member of the oversight panel and a consultant to the Vermont Legislature. Entergy Nuclear spokesman Larry Smith said late Monday he could not discuss the 2005 tritium leak, saying he was still waiting for a letter from Entergy attorneys before talking about the issue. Entergy Nuclear is excavating the area near the advanced off-gas building, in particular an underground pipe tunnel connected to the building, which is the same area the whistleblower pointed to. The whistleblower said the area in question was in a “high-radiation” area and involved a “radioactive steam leak” which drained into a drain pit. Jackson said that the exact location of the current leak is still not known, although the advanced off-gas pipe tunnel is of strong interest, so it was impossible to say the two tritium leaks came from the same spot. Jackson said that the NRC makes no distinction between “underground” and “buried” pipes, something that Entergy has made several times in the past couple of weeks. In Entergy’s words, buried pipes are in direct contact with dirt, while underground pipes are in tunnels or vaults, carrying pipes. Jackson said the 2005 leak was under investigation, but he said it was a steam leak and the steam contained tritium and potentially other radionuclides. He said Entergy did list the problem in the advanced off-gas pipe tunnel or vault as one of several corrective actions in 2005. According to the whistleblower, whom Gundersen said seemed credible and well-informed about the inner workings at Vermont Yankee, the company used a temporary plug to fix the leak, rather than shut down the plant and make a permanent fix. The whistleblower even went so far as to list the type of material, Furmanite, that Entergy used to temporarily plug the leak. The whistleblower said that a tent and HEPA filter was set up to catch any radioactive gas during the 2005 case, and that workers used protective clothing. Gundersen on Monday refused to say whether he had heard again from the whistleblower. Gundersen had turned the information from the whistleblower over to the Department of Public Service and the Vermont Attorney General’s office last week, both of which are investigating the case. Jackson’s disclosure confirming the whistleblower came during a conference call with reporters, giving an update on the current leak. Neil Sheehan, NRC spokesman, said that Entergy would be issuing a press release about the 2005 leak later in the day. Entergy Nuclear only started monitoring for tritium leaks in 2007, after an industry-wide suggestion from the NRC. Entergy drilled three monitoring wells on the banks of the Connecticut River, with one revealing elevated levels of tritium in November, which was reconfirmed in January. Entergy revealed the current tritium leak on Jan. 7, and has been working since then to find the source of the leak. Entergy, in its daily update about the search for the leak, said it was taking one of its own drinking water wells, which is near the leak’s plume, out of service as a precautionary measure. That well, the construction office building well, is one of several wells that provide drinking water to the company, and is more than 350 feet deep in bedrock, the company said. The contaminated monitoring wells are relatively shallow, about 35 feet. Sheehan said that the NRC was able to talk about the whistleblower allegations in 2005 because the whistleblower did not file a report with the NRC. Usually, the NRC won’t discuss whistleblower issues. Jackson said that it was unknown whether the 2005 tritium leak, which was found in the underground pipe tunnel, had “transmitted” to the ground. He said that there is a possibility that the tritium-laden steam did escape to the outside environment. “We’re still determining that,” he said. Jackson said the 2005 leak was inside a part of the reactor complex, and should have been maintained in the concrete pipe vault. Most of the conference call with the reporters dealt with the NRC emphasizing that the current tritium leak currently posed no health risk to Vermonters, since it had not reached any private wells and that while it was reaching the Connecticut River, it was in very low levels, between 200 to 600 picocuries per liter. While the plant is licensed to release some amounts of radioactivity into the environment, according to Steven Garry, a senior health physicist, they are well within NRC limits. Garry said that there had been “essentially zero dose” to the general public from the current tritium leak, and he said that any tritiated water that did reach the Connecticut River would be diluted substantially to eliminate any health threat. Tritium, which is a form of radioactive hydrogen, can cause cancer, but only when ingested in large, concentrated doses. One well at Vermont Yankee has tested for 2.6 million picocuries per liter, although that concentration has dropped to 1.8 million picocuries. Other wells show various other levels of tritium, with the next highest close to 1 million, according to the Vermont Department of Health. When a congressional panel convened a hearing on the government rescue of American International Group Inc. in January, the public scolding of Treasury Secretary Timothy F. Geithner got the most attention. Israeli foreign minister Avigdor Lieberman yesterday flatly rebuffed David Miliband’s request for cooperation with an investigation into the use of forged British passports in the assassination of a Hamas leader. The request for assistance came as the total number of fake British passports believed to have been used in last month’s assassination rose from six to eight. But private discussions on the sidelines of an EU meeting in Brussels – and an identical request from Irish foreign minister Micheál Martin – yielded no concessions on the Israeli side. Mr Miliband, meanwhile, said simply that he had “set out for the foreign minister the seriousness of the issue”. Israel also came under pressure from a joint statement by the EU foreign ministers that “strongly condemned” the use of forged passports, although it did not mention Israel by name. Israel’s position forces the UK to decide whether tensions over the passport use will escalate into a crisis that could affect bilateral relations. The Israeli assumption is that Britain has no such intention. Mr Miliband’s references to “the profound concern that exists not just in Britain but all over Europe about this incident” were not matched by any concrete steps. The British inquiry into the use of passports belonging to dual British-Israeli nationals was announced by Gordon Brown last week after authorities released details of suspects in the killing of a Hamas official, Mahmoud al-Mabhouh, in Dubai. Police there believe the hit squad were from Israel’s intelligence agency, Mossad. Mr Lieberman suggested to Mr Miliband and Mr Martin that the killing may have been the result of inter-Arab feuding. “There is an Arab tendency to blame Israel for everything. In the Middle East there are many internal struggles within states and bodies that aren’t democratic like Israel,” he said, according to the spokesman. In the House of Commons, Europe minister Chris Bryant said that Dubai authorities yesterday forwarded the details of two additional fraudulent documents. The names on the documents were not immediately available. All six of the names released by Dubai police belong to dual UK-Israeli nationals living in Israel. The Dubai police have named 11 of what they say was an 18-member assassination squad. Plagiarism, “unethical research” and unreliable findings from “fabricated data” are grounds for retraction of medical journal articles says the Committee on Publication Ethics (COPE). But one look at the US National Library of Medicine database shows the bogus, ghostwritten papers Wyeth (now Pfizer) planted in medical journals in a ghostwriting scandal that reached Congress last year still stand unretracted. “Is there an association between hormone replacement therapy and breast cancer?” asks an unretracted article in the Journal of Women’s Health, 1998 Dec;7(10):1231-46 — a question a fourth grader could answer. The “author,” William T. Creasman, MD, neither wrote nor initiated the article but was suggested by Jeff Solomon of Wyeth, according to documents posted on the University of California, San Francisco’s Drug Industry Document Archive (Dida). The article which finds — surprise — no “definitive evidence” of a cancer link was written by an operative of DesignWrite, Wyeth’s marketing firm, named Karen Mittleman. How about Wyeth’s “The role of hormone replacement therapy in the prevention of postmenopausal heart disease,” in the Archives of Internal Medicine, 2000 Aug;14-28;160(15):2263-72 — a role experts and the FDA agree should be none at all since hormone therapy (HT) increases cardio risks? Lori Mosca, MD, PhD, agreed to be “author” 11 months after the outline was completed by freelance writer E. Wesselcouch. And “The role of hormone replacement therapy in the prevention of Alzheimer disease,” in the Archives of Internal Medicine, 2002 Sep 23;162(17):1934-42? “Attached is the outline for your review in the hope you will agree to author,” wrote Alice Conti, another Wyeth operative, to “author” of record Howard M. Fillit, MD. The outline was written by freelancer Stella Elkabes for $2,300 — see: nice work if you can get it — and HT actually doubles the risk of Alzheimer’s. Oops. And don’t forget the unretracted, “Mild cognitive impairment: potential pharmacological treatment options,” in the Journal of the American Geriatrics Society, 2000 Apr;48(4):431-41, by Barbara Sherwin, Ph.D. Minutes from a Wyeth meeting three months after the article was written by freelance writer F. Karo, a DesignWrite executive asks, “Has initial contact been made with Dr. Barbara Sherwin for Memory paper?” Have we reached the party to whom we are speaking? It’s a no-brainer that journal editors prefer concealing a suspect article to angering their bosses and authors, and jeopardizing ad and article reprint $ales from drug companies with a this-statement-is-inoperable admission. And it’s a no-brainer that prestige hungry academic institutions don’t relish scientific egg on their faces or admitting they harbor industry compliant doctors like New York University whose Lila Nachtigall, MD, collaborated with Wyeth on many ghostwritten papers, according to Dida documents. Eight months after Sen. Charles E. Grassley broke the scientific con, NYU Vice President for Public Affairs Deborah Bohren told the New York Times the university had not investigated because, “we have not received a complaint.” A probe from the chairman of the Senate Finance Committee isn’t a complaint? So, even though hormone therapy increases the risk of breast cancer by 26 percent and heart attacks by 29 percent, Dr. Creasman’s article which finds no “definitive evidence” of cancer and Dr. Mosca’s “cardioprotective” article stand to misinform a new generation of healers. And even though hormone therapy doubles the risk of dementia and actually “decreases brain volumes,” according to the Women’s Health Initiative Memory Study, Drs. Fillit and Sherwin’s papers stand, the latter having been cited 50 times. Wyeth and DesignWrite did not hide their scheme from doctors. They didn’t hide it from journal editors who accept DesignWrite’s role as doctor talent brokers unblinkingly. Hormone therapy represents one of the largest swaths of preventable injuries to healthy citizens in recent history. But Wyeth/Pizer maintains it doesn’t know how the idea that HT prevented heart disease and dementia got started. One look at Dida archives shows how the “idea” got started. And the bogus, unretracted papers show how the idea persists. Martha Rosenberg is a Chicago columnist/cartoonist who writes about public health. She may be reached at martharosenberg@sbcglobal.net. VANCOUVER—When the last of the Olympic athletes ski, skate and slide out of town, Vancouverites will be left with an unexpected legacy: 970 cameras. “Security investment always leaves a good legacy of security for the country,” International Olympic Committee President Jacques Rogge told media gathered last February in Whistler, marking the one year countdown to the Games. The security bill for the Olympics is expected to reach the $1 billion mark. A March 2009 Vancouver city report includes the total cost of installing Closed Circuit Television (CCTV) systems. The Vancouver 2010-Integrated Security Unit (V2010-ISU) will pay $2.1 million, in addition to the $435,000 the province is contributing. But all costs do not appear on the balance sheet. There are also social costs, such as the diminished personal privacy in public spaces. In March 2009, Philip Boyle and Kevin Haggerty from the University of Alberta, published a report about surveillance and the Vancouver Olympics. “Public officials occasionally use the pretext of the Olympics to introduce forms of surveillance that the public might oppose in any other context, capitalizing on the fact that in anticipation of the Games citizens tend to be more tolerant of intrusive security measures,” wrote Boyle and Haggerty in Privacy Games: The Vancouver Olympics, Privacy, and Surveillance. The apparent acceptance of increased surveillance is something that requires a sober second thought, according to Adrienne Burk, professor in Sociology and Anthropology at Simon Fraser University. Although the Vancouver city report Privacy Games: The Vancouver Olympics, Privacy, and Surveillance points to the cruise ship terminal and entertainment district as key areas the cameras will be installed, the City of Vancouver and the V2010-ISU have not been specific regarding locations for all CCTV systems. “Approximately 900 CCTV security cameras will be installed at venues for the Winter Games with another 50-70 CCTV security cameras installed in the urban domain,” states the report. “The urban domain consists of areas where the public will gather outside a venue,” reads the V2010-ISU’s website. The urban domains have been dubbed “Safe Assembly Areas” by the ISU. These are areas, also known as “Free Speech Zones,” or “Protest Pens,” where people are allowed to engage in lawful protest. Minimal research has been conducted on the number of surveillance cameras that currently exist in the Downtown area. A collaborative effort between the Vancouver Public Space Network and the Simon Fraser University Surveillance Project aims to change that. Late in August volunteers set out to count and record the locations of cameras they could spot on city streets and alleyways. This data will be published in a report to be released later this year. “Surveillance cameras are distributed primarily in focused local areas or higher end shopping areas,” David Eby, Executive Director of BC Civil Liberties Association told The Dominion in a telephone interview. People who are engaged in so-called “undesirable activities” such as panhandling in shopping districts like Robson Street or Gastown, may end up being displaced from public spaces as a result of security cameras that business owners argue are necessary in order to increase consumer confidence. BC Civil Liberties has received confirmation from the ISU that no new cameras will be installed in the Downtown Eastside, an area of Vancouver that is the poorest off-reserve postal code in Canada. The Carnegie Community Action Project (CCAP) identified some of the the problems with CCTV back in 1999 when it challenged the VPD’s efforts to install cameras in Vancouver’s Downtown Eastside. “Cameras do not provide employment or housing opportunities… Rather than targeting business-operators or landlords who take advantage of poverty and addictions, [the use of CCTV] focuses on the behavior of those individuals who do not fit the expectations or mores of the camera monitors,” their report states. Ten years later, the CCAP report is still relevant to the concerns about the social costs of these cameras in the context of the Olympics and the Downtown Eastside. The pattern of Olympic cities, including Athens, Turin, and Beijing, has been to retain surveillance cameras after the Games. “You know, witnessing has always been a fundamental aspect of democracy, involving actors, observers, and recording of incidents,” professor Burk indicates. “But cameras complicate that relationship, because the viewers and actors can be removed from each other, and recordings substantively altered,” she said, arguing for a public debate before more cameras are installed. Francesca Galasso is a 4th-year sociology student at Simon Fraser University. She lives in Vancouver. For up-to-the-minute Olympics resistance coverage, check out the Vancouver Media Co-op, and the Convergence website.